The Gunn got fired, and the kickback is major. Following the Walt Disney Company's decision to fire James Gunn as the director of Guardians of the Galaxy Vol. 3 in July 2018, Warner Bros. has tapped (or should we say poached?) the filmmaker to write and potentially direct Suicide Squad 2. TheWrap dropped the bombshell on Tuesday, adding that Gunn will have a "completely new take on the property." This seems to suggest that Gunn's Suicide Squad sequel will be different in every possible way to David Ayer's much-maligned 2016 original, which pulled in $746.8 million at the global box office. The big question here is whether the cast of Ayer's Suicide Squad – namely Margot Robbie as Harley Quinn and Jared Leto as the Joker — will be in the Gunn-penned Suicide Squad film. A "completely new take" could see a shaking-up of the supervillain squad roster, so perhaps moviegoers will get to see characters like Doctor Light, Nightshade, or Bronze Tiger in Suicide Squad 2. Then again, Gunn's fresh perspective on the DC IP might simply result in some quirky humor reminiscent of the wit found in the Guardians of the Galaxy duology. Although Gunn is taking on the follow-up, he won't be spending any time on set with original Suicide Squad writer-director Ayer since he's clearly not involved in any capacity. Ayer was reportedly "never expected to return" for Suicide Squad 2, given that his relationship with Warner Bros. grew tumultuous during post-production, when the filmmaker and the studio created "competing cuts" of the film. If Gunn slides into the director's seat for Suicide Squad 2, he'll take over the spot that filmmaker Gavin O'Connor (Miracle, Warrior, The Accountant) once occupied. O'Connor was previously attached to the sequel pic, but eventually dropped out to work on The Has-Been, a Ben Affleck-led drama written by Brad Ingelsby, for Warner Bros. According to Variety film reporter Justin Kroll, there's another reason why O'Connor is no longer behind the helm: his story for Suicide Squad 2 apparently "ended up being almost identical to the Birds of Prey story." When Warner Bros. greenlit Birds of Prey, the Cathy Yan-directed feature centered around Harley Quinn's girl gang, before giving Suicide Squad 2 the go-ahead, O'Connor reportedly "grew frustrated and fell off the project" to work on The Has-Been instead. It's no secret that fans and critics adore Guardians of the Galaxy Vol. 1 and Vol. 2 for their uniqueness, originality, and creativity — and that's due in part to the stellar scripts Gunn wrote for both. What Gunn did with Guardians had a ripple effect on the whole of the Marvel Cinematic Universe, influencing how filmmakers approached their projects in the years following Vol. 1's release. As Marvel Studios president Kevin Feige once said, "Certainly the success of Guardians just boosted our confidence to continue to go in new, fun, weird directions … to continue to expand and do really unique and really different tonal things." That said, Gunn probably won't run into the same problem that O'Connor did when writing his script for Suicide Squad 2. Nothing but originality from this guy. Whether Gunn's Suicide Squad 2 be any good is anyone's guess, but considering he has a demonstrated skill in creating ensembles and making them shine, the sequel will at least tout a strong central team — no matter which baddies end up on it. It's not surprising that Bautista would throw his hat in the ring, as he's been extremely vocal about his support of Gunn and his disgust with Disney, who fired Gunn after offensive past tweets of his resurfaced online. At one point, Bautista threatened to quit Guardians of the Galaxy Vol. 3 if Disney didn't use Gunn's already-written script. In another instance, the actor said it was "pretty nauseating" working for Disney, accusing the company of encouraging a "smear campaign" against Gunn. The whole "Gunn getting kicked out of the House of Mouse and evicted from his cozy metaphorical abode at Marvel Studios" situation has been sticky from the start, with more layers of complexity piling on as time has passed. Off the bat, Gunn's firing impacted his planned announcement at San Diego Comic-Con in July 2018. The hot gossip at the time was that Gunn was gearing up to confirm that he was either writing and/or directing a silver screen adaptation of Nameless, the comic series from Grant Morrison and Chris Burnham. From there, there was back-and-forth about whether Disney would consider rehiring Gunn (the company of course didn't end up reinstating him) and whether or not his script would survive after he was gone (it will). Currently, Guardians of the Galaxy Vol. 3 is on a temporary production hiatus until Disney and Marvel find a replacement director. Gunn boarding Suicide Squad 2 and calling DC his new creative home is bittersweet. It must be heartbreaking for him to never get the chance to complete his Guardians trilogy with Marvel, but writing and possibly helming a tentpole at another major studio is a turning point for Gunn. 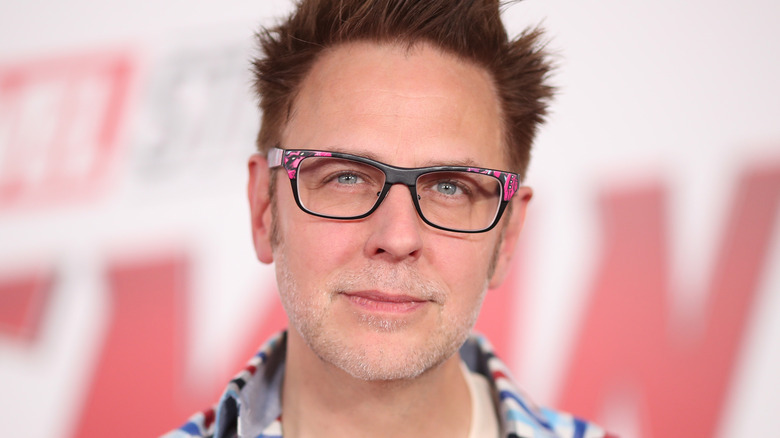 Not only does it offer him, well, employment and actual film to work on, but Suicide Squad 2 may also represent the first step in Gunn's potential redemption in the eyes of those who oppose him. While many have agreed with Disney's decision to fire Gunn from Guardians 3, others, like the entire Guardians cast, have supported him and hoped to see him find success post-Marvel. Some have even questioned whether Gunn was the "first undeserving victim of Hollywood's new zero-tolerance policy." Regardless of how people feel about him, Gunn will have something big to say and something even bigger to prove with Suicide Squad 2.